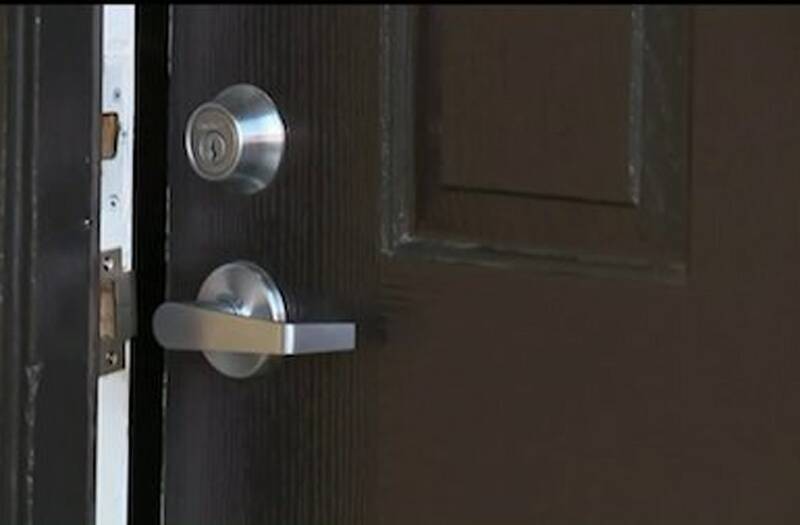 NATOMAS (KTXL) -- Tony McElveen thought someone was playing a prank at his apartment in Sacramento, California just before midnight Wednesday evening. "I opened the door ... saw the letter sitting right here with scotch tape," McElveen said. The letter was filled with an explicit racial message so offensive we can only share a few lines of it. Things like: "Your wife looks just like an ape..." "The husband looks exactly like a gorilla..." and "Go home black (expletive) you don't belong here..."
"To read it, and I could only read it one time, and that was enough for me. And then I kind of went numb," McElveen said. McElveen's first thoughts were of protecting his wife and daughter. Years of military training in the Navy were now coming back to him about guarding a post. A man says he thought someone was playing a prank at his apartment Wednesday evening, but instead found a letter filled with racist and hateful messages. "I didn't want to wake her up and disturb her with that kind of information. My daughter was asleep on the couch, so I just sat here the whole night and just pondered on what was happening," he said. "We just moved here, so I just don't understand. And we haven't rubbed anyone the wrong way," said Tela McElveen. Sacramento police officers were at the McElveen home Thursday night, going door-to-door and asking questions of residents in the apartment complex. But police say no actual crime was committed. The letter falls under the classification of hate speech not a hate crime, which is frustrating to both law enforcement and the victims. "Just based on the context of the letter, it was like somebody was observing me, or observing us," Tony McElveen said. "I hope that they saw the police. I hope they saw you guys, and I hope they decide to never do this to anyone ever again," Tela McElveen said. But the family is determined not to let someone's hateful and insensitive words get them down. "I walked out of the house this morning, going to work, and I made sure I had a smile on my face so whoever did it knew they couldn't take my joy, and I'm still going to be happy anyway," Tela McElveen said.